A cosy mess tent islocated in the centre of the camp where meals are served. The campfire is ready every evening for appetizers and snacks before dinner. 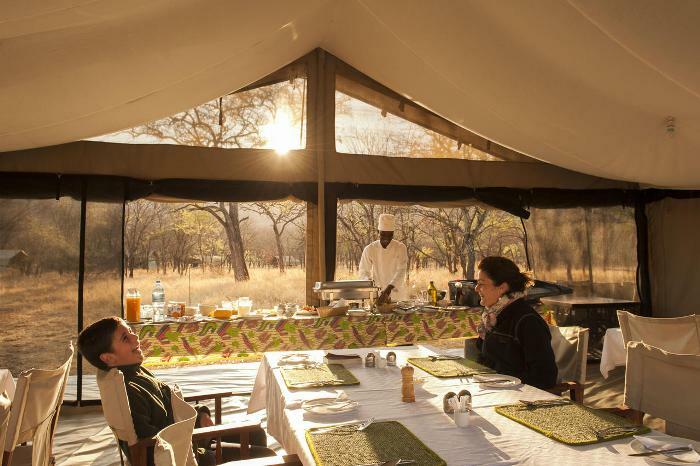 10 tents with en suite facilities.